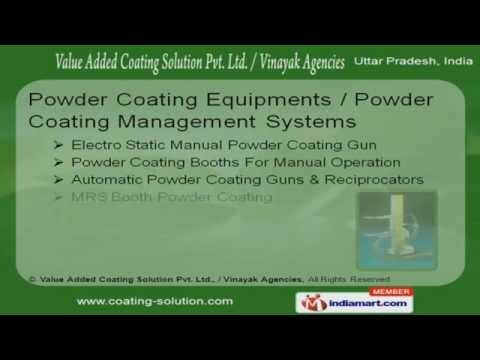 Welcome to Value Added Coating Solution Pvt. Ltd.Manufacturer & Supplier of Sheet Metals Products.The company was incepted in 2001 at Ghaziabad. Our technically sound infrastructure & Superior grade raw materials have helped us to gain clientele all across the nation.Capacious warehousing, Cost effective price & expert professionals are some of the attributes that keep us ahead of our competitors. We offer a wide assortment of Powder Coating Equipments, Industrial Liquid and Powder Coating Paints.We are engaged in offering Powder Coating Equipments & Management Systems that are a class apart.Magic Plus, MRS Booth Powder coating Management Systems & Paint Shops are best in industry.Our wide spectrum of Value Added Services are highly appreciated for their efficiency & reliability.We also provide Industrial Liquid Paints that are widely used in Automobiles Accessories & Home Appliances.Along with that we offer Powder Coating Paints Which are recommended for decorative applications.